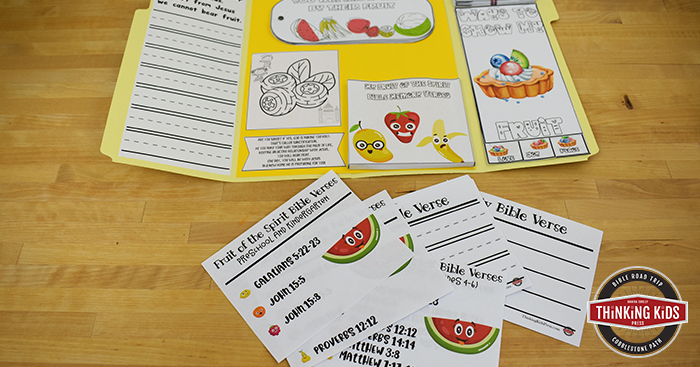 Teach your kids about the fruit of the Spirit in a fun, hands-on way that your children will love! 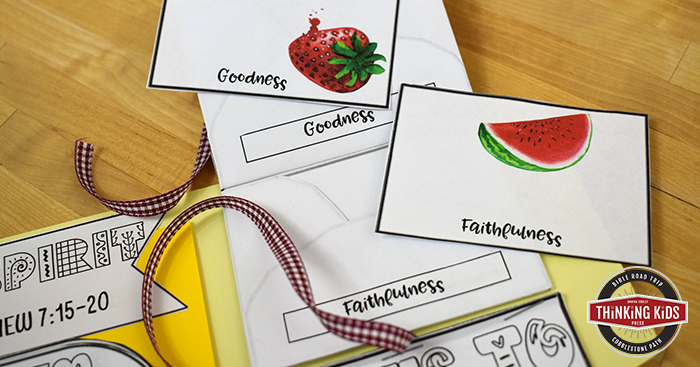 This lapbook is part Bible study, part Bible craft, part notebooking, and it's perfect for families who want to go deeper into the fruit of the Spirit with elementary age children from 5-12. You'll want to do these fruit of the Spirit lessons over a period of days or a couple of weeks. Check out this fun video that shows how the lapbook is put together! You and your child will discuss who grows the fruit in our lives, and when it appears. 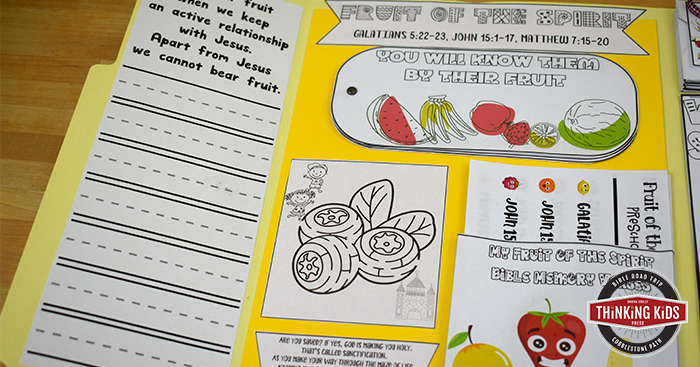 Your child will also learn what the Bible has to say about the fruit of those who do not love Jesus. They will be asked to consider why Jesus told us to look out for those bearing bad fruit, specifically false teachers. 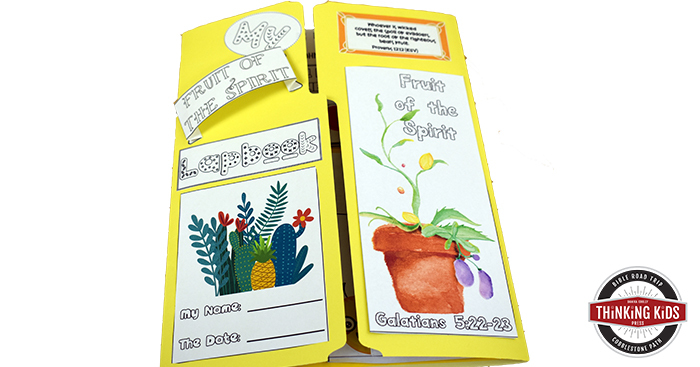 The lapbook comes with a set of Bible memory verse cards your child can fill in, along with age appropriate verses to memorize. 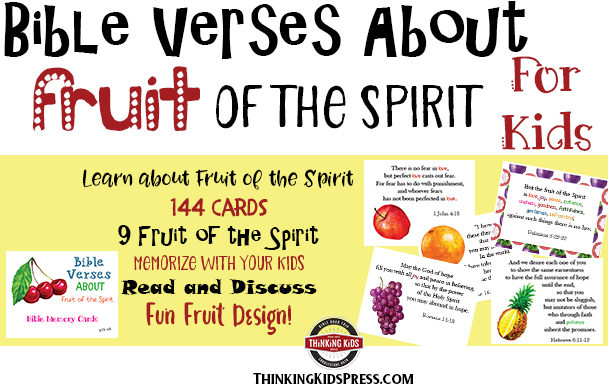 You can create a nice unit study for your child by adding the Bible Verses About the Fruit of the Spirit set from ThinkingKidsPress.com --the set can be stored in the Bible verse card pocket. There are 144 cards in the set. You’ll need a few supplies to put together your lapbook. You probably already have most of these. If not, it's worth investing in them as you will use them again and again with your kids. To create the base of your lapbook, place your file folder on a table and fold both sides inward toward the creased spine of the folder. Once the outer edges meet, crease your file folder. This will give you a book that opens in the middle. You will still have a fold in the middle of your book, so I like to glue a piece of cardstock into the middle section of the book to create a thick center that won’t bend. 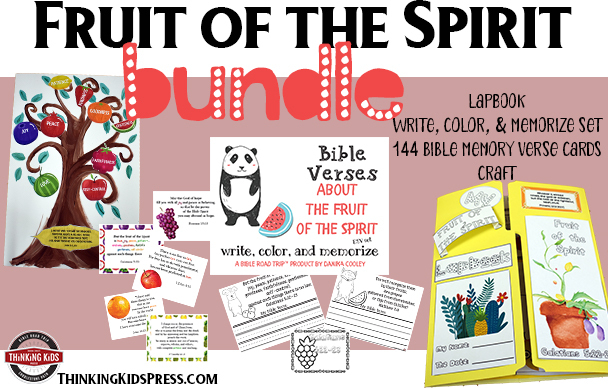 You’ll want to print the My Fruit of the Spirit Lapbook single-sided on plain printer paper using color ink. 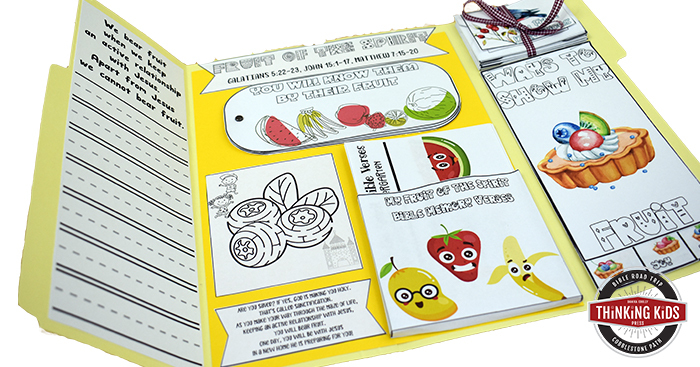 In your lapbook pages, you will find step-by-step instructions on each minibook and activity, explaining how to assemble each. 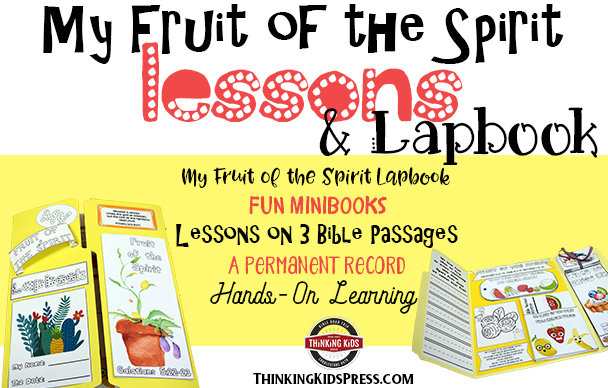 You can watch a quick tutorial for the Fruit of the Spirit lapbook above, at the beginning of this post.